People suffering from addiction may find it hard to ask for help. It may seem simple, but it feels different for the person with the addiction. Actions that seem easy from the outside (calling a rehab center, telling a coworker or boss about an addiction, or even admitting an addiction is present) may seem insurmountable to a person suffering from addiction. Battling addiction is a lifelong process and if you want to ensure continued success on your journey, you should keep a steady flow of fun sober activities on your calendar. Sober group activities (or solo activities) can help you live life to the fullest and stay on track. Falling into old habits is all too easy in Salt Lake City if you don’t take control of your social calendar in this way. Here is a list of sober activities in Utah that we hope will help you with your recovery. Published in 1998, ‘The Art of Happiness’ by the Dalai Lama, defines happiness as a state of mind, which can be achieved through, repeated conscious efforts. As such, being happy during addiction is a mental battle that can be won by channeling more energy to positive thinking and positive habits. Despite the growing support for the compassionate approach in combating drug addition, there is a strong need to change how we treat addicts. In most cases, we focus on what meets the eye, judging them as weak and immoral instead of identifying real problem behind their actions. The following are three wrong approaches we use to punish addicts that need to stop. Addiction is a health issue, not a criminal one. When we put an addict in jail for minor crimes such as possession, much less for getting a felony for minor crimes, we inhibit their resources toward finding employment and housing in order to lead a successful life. Addicts commit crimes because they have no other resources available to treat their addiction, certainly not because addicts themselves are inherently criminal in their behavior. Jail time drains the taxpayer instead of helping addicts recover, and jail is not a good environment to find help. The funds used for incarceration and criminal activity if used to treat them could save billions. Moreover, it makes them accountable for their actions reducing their chances of going back to drugs. Heroin is one of the most extremely addictive drugs on the planet, and its use by Americans is rising. According to the National Institutes of Health (NIH), the number of total heroin overdose deaths rose from 2,089 in 2002 to 13,219 in 2016. That’s an increase of 533 percent — a shocking number. Naturally, the first question that arises from statistics like these is why heroin is so addictive? It’s obvious that those who try the drug have trouble getting off of it almost right away. What’s going on? Before delving into the science of why heroin is so addictive, let’s first discuss what exactly heroin is. 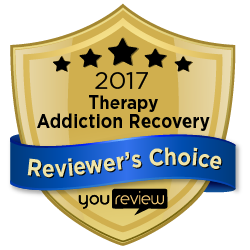 When people think of the addiction recovery journey, they usually focus on detox and rehab. However, breaking the chemical hold on the body is just the first step. If someone you care about is going through this process, you can help by motivating them in the next steps to a life free of substance addiction.